Getting into class 15+ minutes early is vital for me. I run to my desk and take out my things right away. Yes, I am a Freshman, but I’m not naive and doing it for that sole reason. I need to make sure I get one of the few left-sided end desks in the aisle so I can somewhat peacefully get through the lecture. Not to mention, my biggest pet peeve is righties sitting in a lefty desk just because they want an aisle seat (don’t do it, I’m serious). Being a lefty can be really difficult sometimes, believe it or not. Between banging arms with people while eating with utensils or not being able to use regular scissors comfortably, us lefties struggle daily. Being used to it, I don’t really think about it until people ask “You’re a lefty! ?” and make me feel like some kind of alien. I got to thinking about why so few of my peers and myself have to deal with being a lefty. Was it by birth? Upbringing? Early schooling? I began my research. I came across an article featuring Clare Porac, a psychology professor at Penn State. In this article it is stated that 85% of people are right handed. The rest of the people are lefties (like myself). I came across another article that discusses how the left and right side of the brain actually affect which hand you write with. Apparently, being a lefty or righty is a polygenic trait that is determined in early childhood development. According to this article by Psychologist World, only 26% of offspring will be lefties if both of their parents are, so therefore it isn’t all that genetic. There are two specific genes that are thought to be part of the reason that righties are righties and lefties are lefties. The typical gene thought to be in righties is PCSK6 and in lefties it is LRRTM1. Then I just came across some interesting facts. According to a 2010 study published in Pediatrics, lefties have a higher risk of mood disorders, ADHD and dyslexia. This is because a lefty is more likely to be dominant in one side of the brain and scientists believe this leads to a higher percentage of lefties being affected. On the contrary, lefties are more likely to have lower cases of arthritis and ulcers in their lifetime. Found also in this article, lefty Neanderthals were also very much a minority. Research done at the University of Kansas studied the handedness of these ancient peoples from looking at their teeth! (Weird, right?) The people would hold things in their mouth, so seeing which side of the mouth and the teeth was more worn down somehow determined the hand they wrote with. Believe it or not, a good amount of United States presidents have been lefties! Obama, George H.W. Bush, Clinton, Ford – just to name a few, were left handed. Alas, lefties! August 13th is OUR DAY. Named “International Left Handers Day”, lefties are recognized world wide. How? By spreading awareness to the struggles we endure everyday and hoping to find some solutions. I don’t know how effective this really is but, it’s the thought that counts. In conclusion, I found that there is a slight possibility it’s due to genetics, chance or by environment. Where are my fellow lefties at?! Damn, that is a pretty unique blog post. I’m a righty but I can imagine how annoying it must be when it comes to the little things like righty desks. It is always surprising to hear how few left-handed people there are, but clearly many are very successful as mentioned in the article. I found this article from The Mirror (British tabloid) about the effects of having a dominant hand, be it right or left: http://www.mirror.co.uk/news/technology-science/science/lefty-righty-here-astonishing-statistics-4757193. Very cool post. Aside from my green eyes, my left-handedness is definitely one of the most extraordinary things about me, but it can also be the most problematic. Ever had that struggle in lecture halls when a seat only has a desk for a right handed person? I do think that most lecture halls are inconsiderate!! Anyway, I love how accurate this is to me, personally. 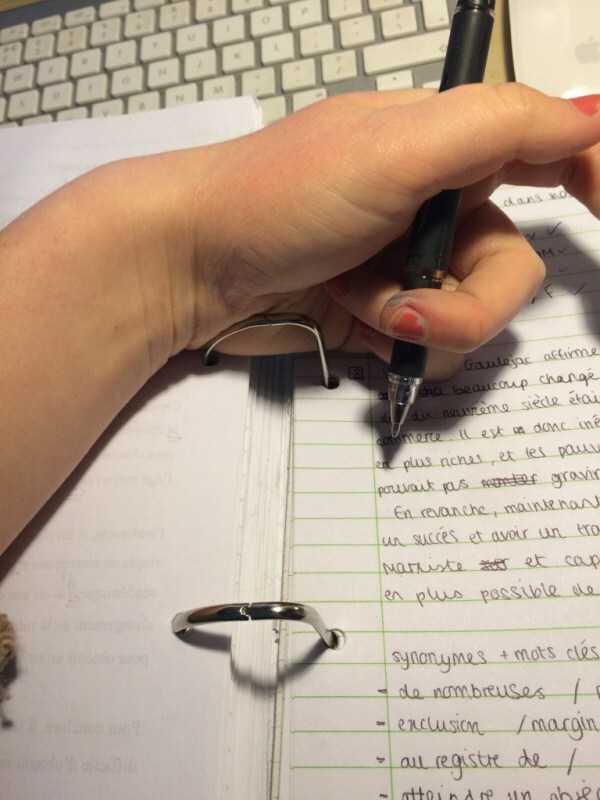 I never knew that mood disorders correlate with handedness, but I know why now! I love this blog. Really interesting topic. I had no idea that something so simple as what hand you write with can be a factor of so many different things such as mood disorders or ulcers. I also found it really interesting how you can tel if a person is right handed or left handed by their teeth – who would’ve thought that honestly. My only question would be what lies for ambidextrous people? Do they get both benefits/ailments? It’s definitely something to look into! As a fellow member of the handedness minority, I feel solidarity with you and the comments you made regarding lefty inconvenience. It is clearly a righty world and we have had to adapt, hopefully making us stronger and more flexible. Scissors are one thing that really do bother me. Some are generic but most that I have come in contact with were made for right-handed people. The Social Work Degree Center prepared a great guide on southpaws including some excellent statistics. http://www.socialworkdegreecenter.com/left-right-world. If you are really interested on why lefty’s are the way they are, here is another article regarding genes and their influence on handedness.